This is a concise overview of how to display Japanese characters in your browser. Modern browsers are designed to show text in virtually any language. If Japanese characters do not display correctly in your browser, please follow the steps below. In Safari, the encoding can be changed under “View” and “Text Encoding”. 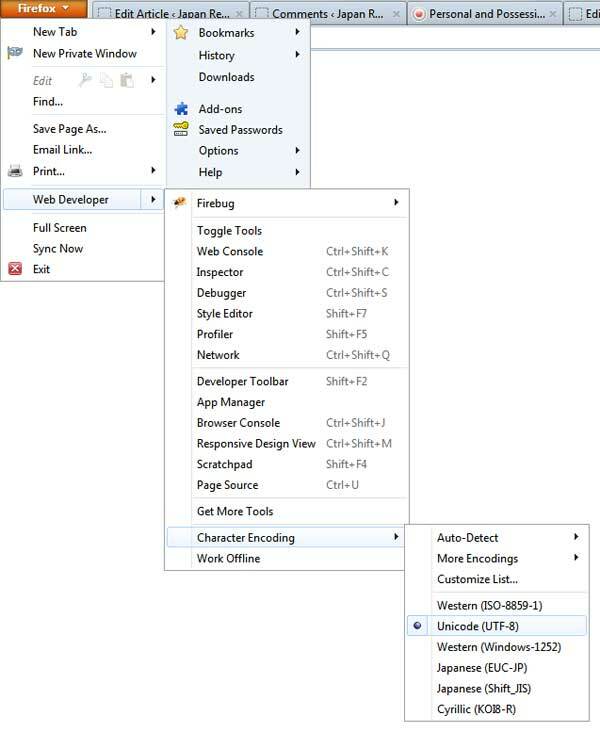 Select either Auto-Select, Shift-JIS or EUC. You will now be able to view Japanese fonts in your browser. For more information on how to input Japanese text, please continue here. First, choose ‘Edit’ and ‘Preferences’ from the Browser menu. Then click on ‘Languages’ and add ‘Japanese’ to your language preferences. Set the character coding to either Japanese EUC-JP, ISO JP-2022 or Shift_JS. The menu configuration of Netscape 4+ and Netscape 7 is nearly identical. 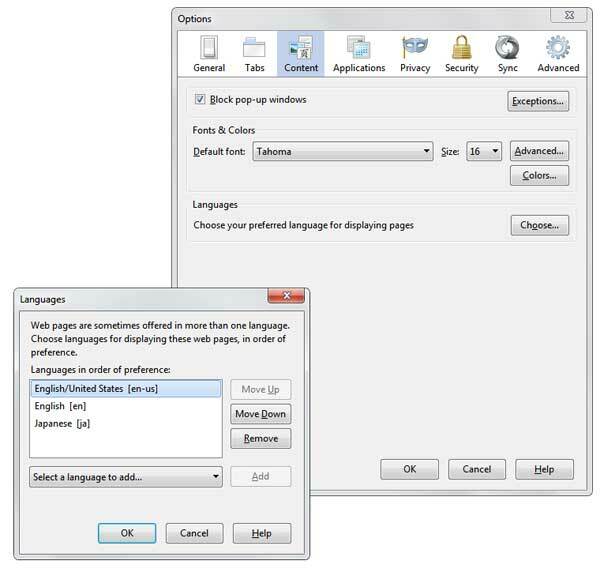 Netscape 4.72+ and Netscape 7 support Global IMEs on Windows, adding CJK input functionality. Global IMEs (Input Method Editors) are Windows add-on modules that let users of Windows 9x/NT input characters in Simplified and Traditional Chinese, Japanese and Korean (CJK) under any language version of Windows Operating System. Netscape started to support Global IME with Netscape 4.72 but offers only limited support for CJK. Opera Opera 6+ supports the Unicode Worldwide Character Set, the standard that displays characters outside of the Westernized alphabet range, so sites using Chinese, Japanese or Korean font sets will now render correctly. Click here for more information. Lynx The latest Lynx release is v2.8.4 running on Un*x, VMS, Windows 9x/NT (but not 3.1 or 3.11), on DOS (386 and higher) and OS/2 EMX. Mac support is still in beta test. Lynx can be adapted to display Japanese font sets by changing the configuration file (lynx.cfg): just set the CHRACTER_SET option to Japanese (SJIS). Lynx can be obtained from here.